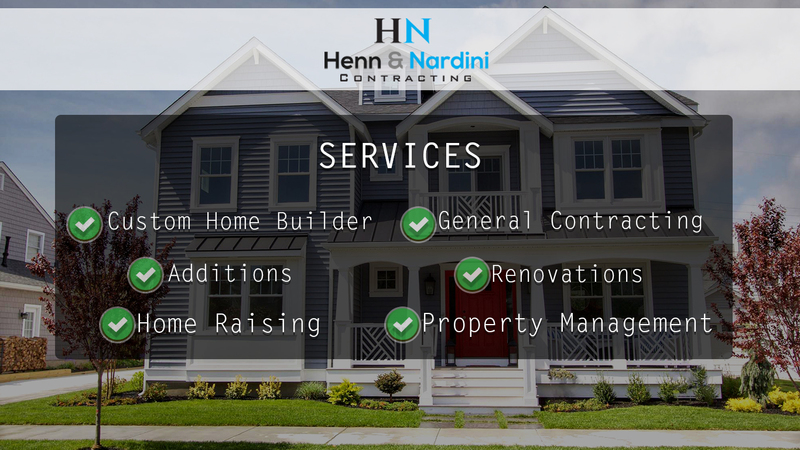 Henn & Nardini Contracting is a Custom Home Builder, General Contractor, and Construction Manager operating out of Brick NJ, and Barnegat NJ. We provide services in south Monmouth & Ocean County. We approach every project as if it is our own home, providing our clients accountability, accessibility, high level of craftmanship, and unparrallel transparency. The best part of what we do is taking families dream projects, turning them into reality, and seeing the satisfaction on their face.